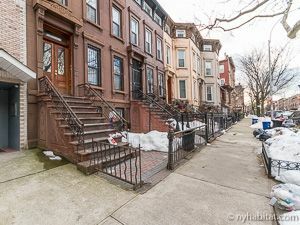 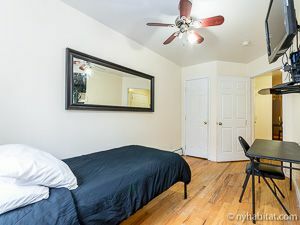 Experience Brooklyn from these two fully furnished rooms for rent located in Bedford-Stuyvesant on Stuyvesant Avenue & Putnam Avenue. 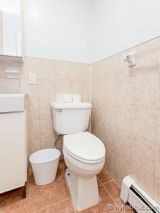 These private rooms are situated in a shared two bedroom apartment located on the first floor (ground floor for Europeans) of a three-story walk-up building with garden access. 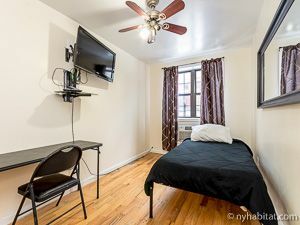 Please note that these are two private rooms for rent in a shared apartment. Each room is rented privately, and the kitchen and bathroom are shared with a roommate. 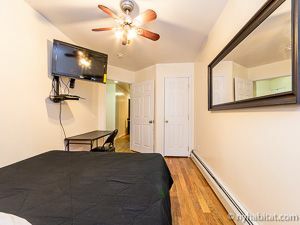 Bedrooms 1 and 2 are the private rooms for rent. 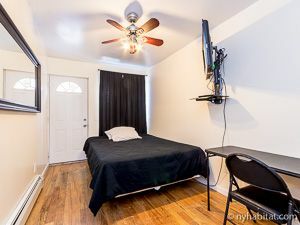 Each room has hardwood floors, a ceiling fan with lighting, air conditioning, and a mounted Cable TV. 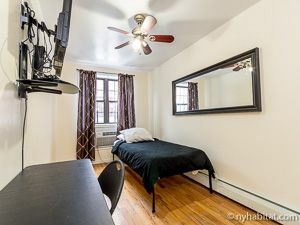 Bedroom 1 is furnished with a single-sized bed, and Bedroom 2 is furnished with a Queen-sized bed. 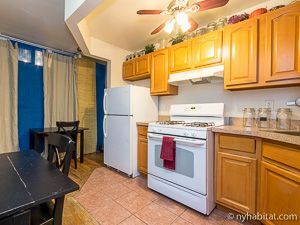 The shared kitchen has wrap-around cabinetry and two tables with seating, perfect for accommodating guests. 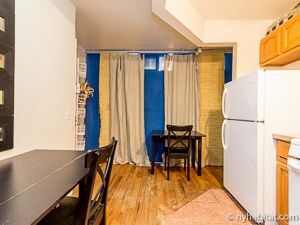 It is equipped with an oven with stovetops, a fridge, and a freezer. 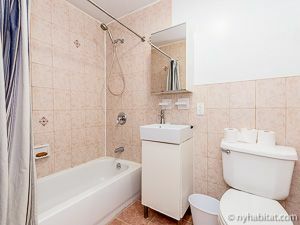 The shared bathroom has a bath tub, shower, towels supplied, and a W/C.